At 3 PM ET on July 16, tens of millions of shoppers flocked to Amazon to celebrate the cornucopia of capitalism known as Amazon Prime Day. However, rather than finding deals, these shoppers were largely greeted with photos of cute dogs, Amazon’s now infamous error page. In response, Amazon’s stock tumbled as the retailer was faced with a crisis of epic proportion. Only two of the above three statements are true. Despite, an outage that frustrated millions of shoppers, Amazon’s stock opened trading on July 17 down less than one percent. Amazon’s website crashed on its most important day of the year and the market only punished the company with the daintiest possible slap on the wrist. Last quarter, we saw Amazon’s invincibility dynamic play out again and again. Amidst accusations of price manipulation around Amazon Prime, a fresh scandal regarding wages of its warehouse workers and a litany of attacks by President Trump, Amazon’s stock rose more than $200/share, adding nearly $100 billion in market capitalization. With this kind of trust from Wall Street, Amazon is untouchable. To add to the intrigue, President Trump has once again focused his ire on perceived tax dodging by the Seattle-based titan. Trump, though seemingly driven more by sheer personal obsession than rigorous economic policy, is correct in many respects. Amazon’s tax and economy of scale advantages are whopping and bound to get worse with cities around America groveling at Bezos’ feet. But here’s the scary truth. While Amazon is a maestro of tax avoidance, this is merely one of a litany of loopholes the company has been able to exploit, to the tune of tens of billions of revenue. In many respects, Amazon has been a true bastion of innovation and Bezos a visionary on par with Ford, Jobs, and Tesla. In an era dominated by short-term optimization, Amazon played the long game and delivered paradigm changing services like Prime and Amazon Web Services. While the media rightfully celebrates Bezos’ genius, there is minimal reporting on the significant amount of Amazon’s success has come from a combination of luck, legal advantages, and sheer ability to push the little guy around with economy of scale. For example, the hallmark of the Amazon experience is the one-click buy button which makes it frighteningly easy to buy that Amazon Echo Dot that is still tucked away in a drawer. But this capability is no major technological breakthrough — it’s a legal one. Due to an inane patent antithetical to any sensible economics, Amazon has pocketed billions in revenue over the years from one-click shopping. 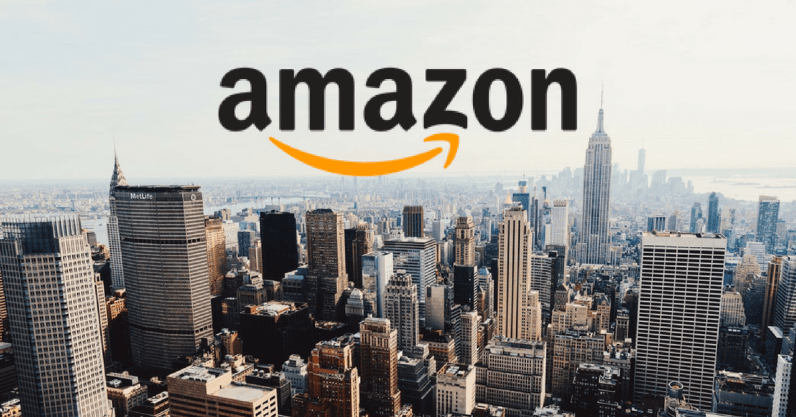 In a now infamous 2000 New York Times column, Bezos himself criticized the underlying legal infrastructure that allowed him to monopolize this streamlined user experience. But finally, 20 years too late, the patent expired giving other retailers the chance to build this on their sites. The code is so simple that the EU actually declared it too obvious to patent in its jurisdiction. Amazon has also been accused of undercutting third-party sellers who choose to sell on their platform by showcasing its own products to users, even when other vendors provide a lower price. Through it all, Amazon has maintained its status as the welcome conqueror, a Leviathan that nobody seems to hate. But after a Prime Day that saw Bezos eclipse $150 billion in net worth, there is evidence that this key competitive advantage is slipping. More than any other statistic, Amazon’s net favorability rating among the general American consumer will be the most important metric to track in 2019 and beyond. In a similar vein, Amazon has dominated a space called “commerce content,” a $60 billion industry. Commerce content (articles written independently by publishers about products) is a core pillar at Buzzfeed, Conde Nast, and Hearst while The New York Times company paid more than $30 million to acquire Wirecutter, the commerce content pioneer. For publishers struggling to replace lost ad revenue with subscriptions, commerce content shows potential to represent the first scalable revenue channel in the internet age. But for retailers, roughly 65 percent of the traffic from commerce content goes directly to Amazon without a sniff of competition, resulting in $27 billion of annual revenue. Amazon often becomes the destination for links in commerce content even when other retailers sell the item for less, a raw deal for the consumer. In total, referrals from content drive roughly 650 million shoppers to Amazon every month, making up about 20 percent of Amazon’s monthly traffic according to SimilarWeb. In a nutshell, there is a large revenue stream that Target, Walmart, and the plurality of other ecommerce websites have barely even been introduced to. Amazon is not winning through innovation, they are winning by default. Luckily, there is a new generation of companies arising that are ready to chip-away at the largely uncontested markets where Amazon has dominated. In commerce content, advances in machine learning make it possible to match products and links at scale to create marketplaces for retailers to bid against Amazon. In last-mile delivery, Walmart has combined internal investment and external acquisitions of startups to narrow the gap. In mass marketplaces, companies that take advantage of arbitrages in mass-produced items are beating Amazon on price and providing better shopping experiences for discount goods. Additionally, there is still ample opportunity in markets that Amazon has yet to fully crack, particularly in luxury and aesthetics. Venture capital has the ability to make an enormous impact here, using capital infusions to create competitive markets where none currently exist. And they have the chance to be rewarded handsomely. In markets with tens of billions in consumer spend, there is room for VCs to back multiple winners. Why not go bold? Build entire mini-funds around “Amazon disruptors,” companies that either seek to marginally disrupt Amazon in markets where it faces minimal competition or proactively try to make it more difficult for Amazon to conquer its final frontiers of ecommerce. Hell, even Amazon itself has an odd incentive to encourage this kind of competition. As the company pushes new ground in healthcare, there is theoretically still trillions of addressable market capitalization in front of them. Keeping regulators at bay by breaking its mini-monopolies will help Amazon potentially enter even more lucrative industries that it has the capability to disrupt. It’s too early to tell if the market has the ability to punish for arbitrarily hiking the price of Amazon Prime by $20 but based on the extreme leniency shown after Prime Day’s crash, I’m doubtful. If Amazon can truly manipulate prices and experience widespread outages without any fear of ramifications, the ghosts of Teddy Roosevelt may have to come calling for Bezos eventually. But let’s give startups a fairer shake first.